Media Studies GCSE looks at the crucial role that the media has in the world today. Students study how media organisations provide information, pleasure and entertainment as well as how the media supports and provides opportunities for business and commerce. During the three years of the course, students study media texts from a variety of organisations and sources ranging from newspapers and film to modern multimedia texts such as games and WebPages. They also produce their own work to demonstrate their knowledge of the techniques and approaches that they have learnt. Media Studies builds on and supports several subjects that students will have studied at Key Stage 3. It has close links with English, where students are also encouraged to analyse and evaluate a wide range of media texts, but also shares skills and approach with subjects including Art, Music, Drama, Design Technology and ICT. Media Studies is one of the most popular courses taken by students and when the GCSE course is taken alongside GCSE English courses, statistics suggest that grades are improved across both subjects due to the supportive and complementary nature of text analysis. At Key Stage 4, students can opt to take EDUQAS GCSE Media Studies. The Media Studies course looks at the different roles and methods of media organisations in the world today. Students explore three distinct study areas: Media Texts, Media Audiences and Media Organisations and the links between them. Assessment is divided between two exams, covering a range of texts from newspapers and magazines to television crime drama and the music industry, and one piece of Controlled Assessment, a creative task and it’s evaluation. Building up basic knowledge and context of the media, television and music industries. Theory based research and film analysis as well as practical projects with evaluations. Topics covered will include classic Hollywood, the Blockbuster, Film Noir, Doctor Who, James Bond and music videos. Assessments will be a mixture of theory based essays and practical based individual projects. 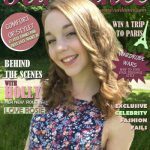 Coursework for Media Studies will include a practical project where they will research, plan, evaluate and create a magazine for a younger audience. Also starting to prepare for Year 11 exams by analysing genre and marketing across different media. Preparation for the two exams and revision will form this year, with a close analysis of music industry websites and marketing, a focus on television crime drama and exploration of newspapers, advertising and magazines. Work will focus on analysing in terms of audience and genre, as well as looking at the organisations behind the media and some social contexts.